With more people getting work done and collaborating with others on their mobile devices, organizations are finding it even harder to secure their sensitive data. We see many organizations making it a priority to better secure their sensitive content no matter the device being used to access and share it. To help organizations empower their employees to work anywhere at any time while helping to protect their content, we’re pleased to announce we have extended the Office 365 Data Loss Prevention Policy Tips to OneDrive mobile apps for Android, iOS and Universal Windows. Policy tips are contextual, user-facing notifications that educate people when they’re about to send, share or work with sensitive data, such as credit card, passport or driver’s license numbers. Policy tips help empower and educate users, while still allowing them to get their jobs done with enhanced security and stay compliant with your data protection policies. With this addition, your organization’s Data Loss Prevention policies, related to content stored in SharePoint and OneDrive for Business, are now viewable on mobile devices. This complements what is already supported today with the web and Office 2016 clients, including Outlook. 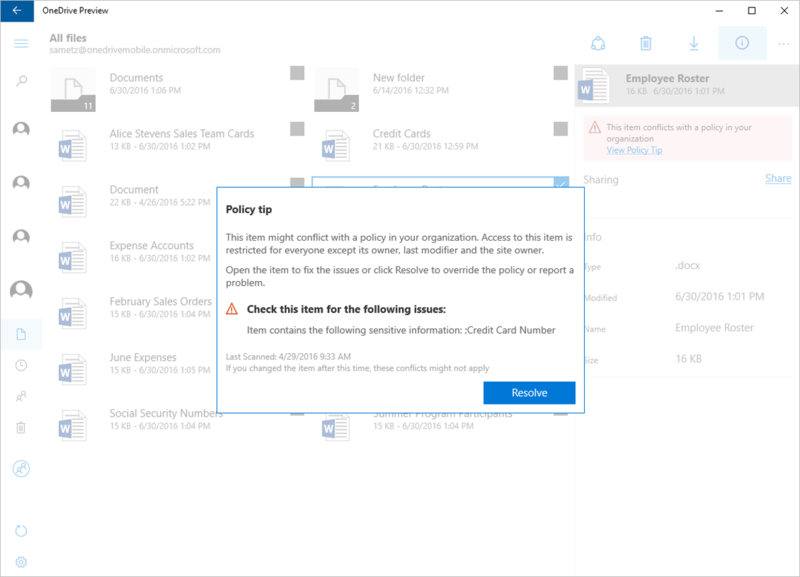 With Data Loss Prevention, documents stored in OneDrive for Business are scanned for sensitive information and evaluated against company policies configured in Office 365. 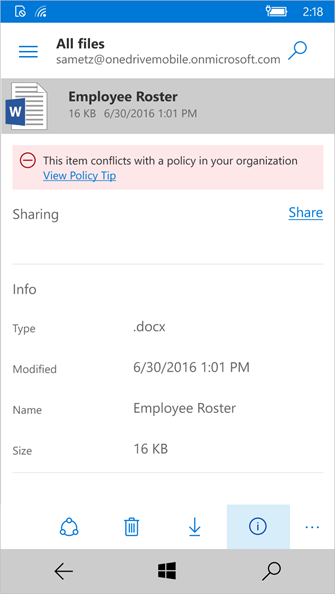 As users work with documents in the OneDrive mobile app, they will see a policy tip for documents that contain sensitive information. Depending on the policies and user action, the tips may provide information about what triggered a policy violation or options to override and submit a false positive report if access to the content is blocked. 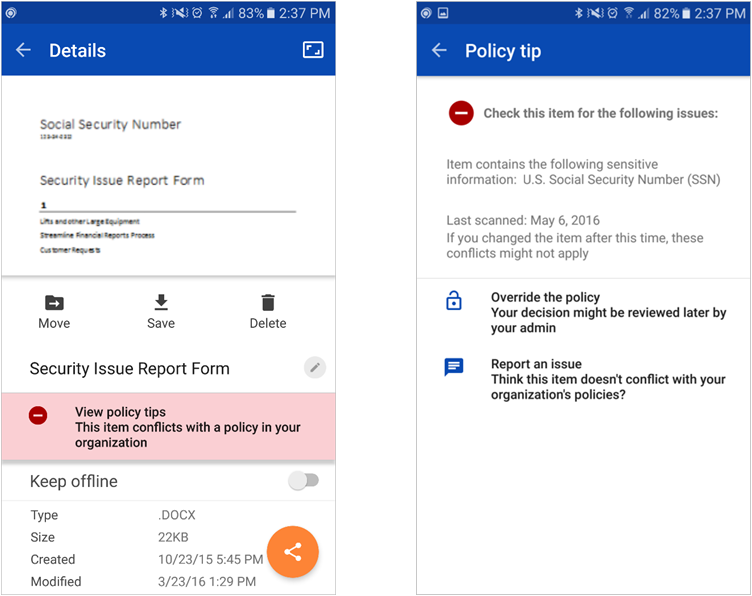 Policy Tips and details in OneDrive mobile app for Android. 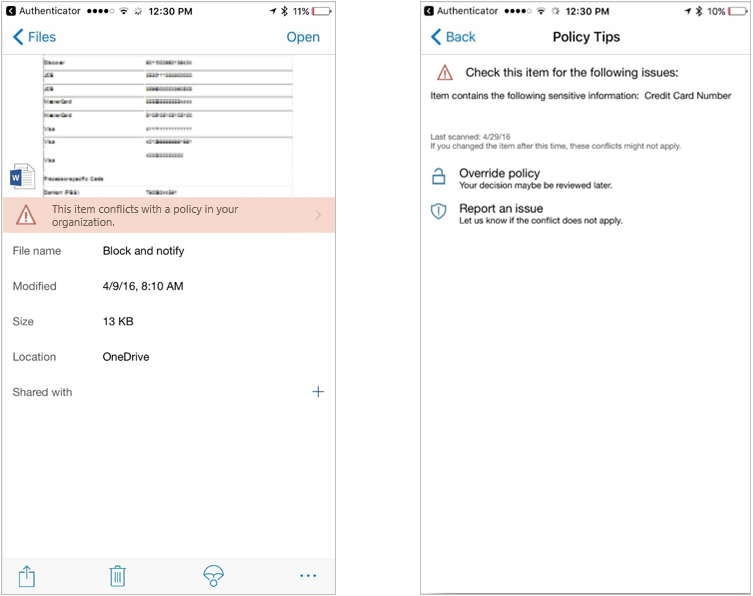 Policy Tips and details in OneDrive mobile app for iOS. Policy Tips in OneDrive Universal Windows mobile app. Policy Tips in OneDrive Universal Windows desktop app. To experience Data Loss Prevention Policy Tips on the mobile apps, download the latest OneDrive mobile app for your devices. Download the latest OneDrive Android mobile app. Download the latest OneDrive iOS mobile app. 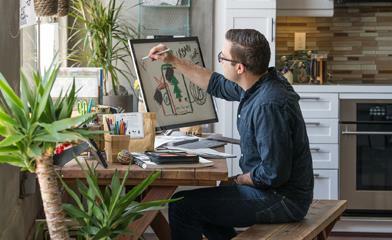 Download the latest OneDrive Universal Windows desktop/mobile app. Now your data will be better protected with a consistent Data Loss Prevention Policy Tips experience across OneDrive for Business web, mobile and Office 2016 clients.